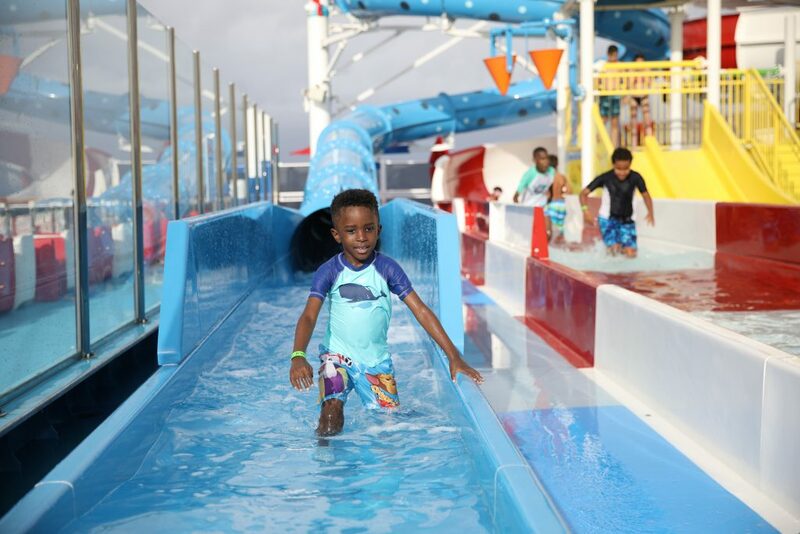 We partnered with Carnival Cruise Line to share our family’s experience cruising Carnival Horizon with kids. My kids have been fascinated by cruise ships for a while now. I remember the first time my daughter saw one, she asked: “Is it like a hotel on water? 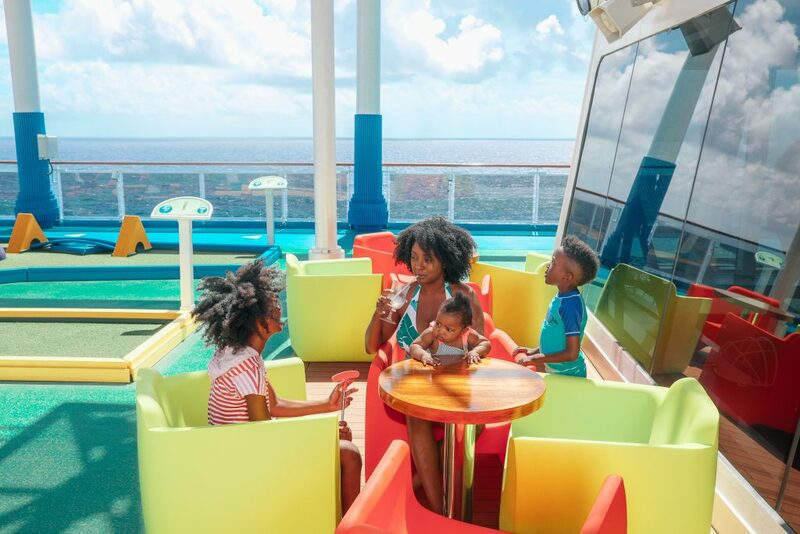 I want to go on one.” I agreed that it might be fun but since I had never been on a cruise and have heard both good and bad stories, I wasn’t sure what it would be like to cruise especially with children. My daughter kept pressing me though and she got her brother to join in too. I finally got on board to go on a cruise with them this summer (see what I did there) and we had such a good time that I’m mad it took me such a long time to do it. We were fortunate enough to sail on the new Carnival Horizon ship for our first cruise. 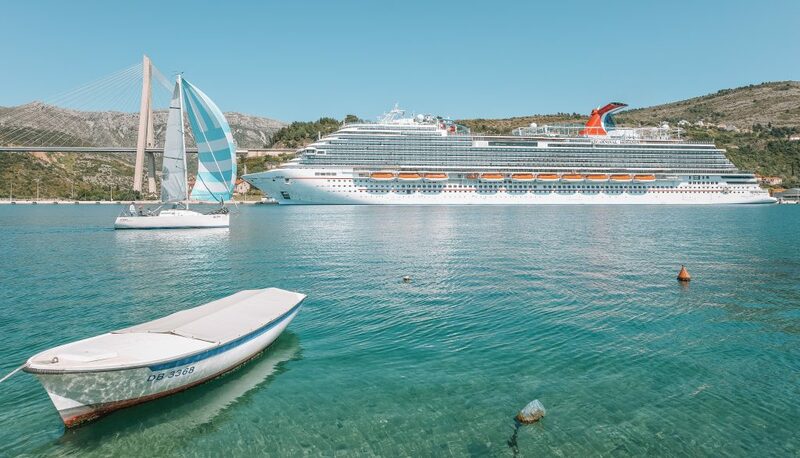 The Carnival Horizon sails with up to 3,960 guests, it’s like a fun city on water, much more than a hotel. We went on an 8-day cruise and docked at Grand Turk, San Juan, and Amber Cove. I shared a lot of our experience cruising on Carnival Horizon in my Instagram stories, you can watch the highlights here. 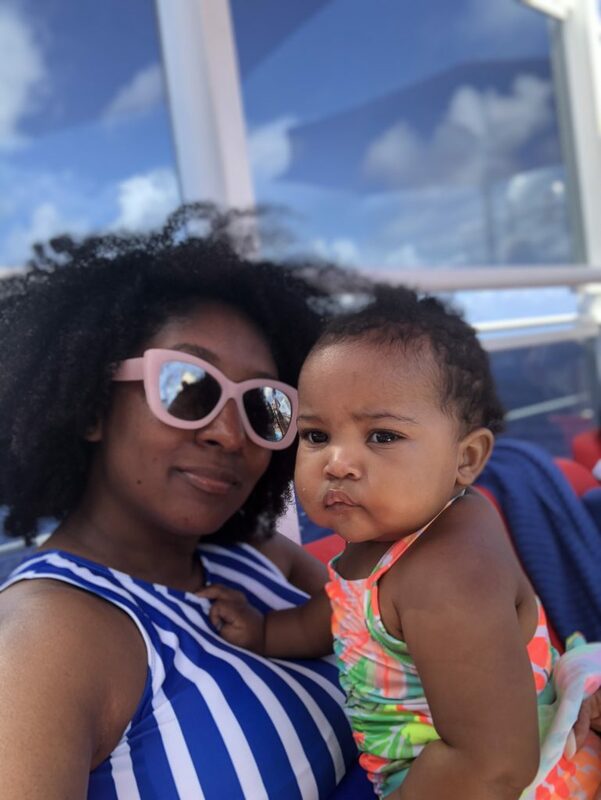 I received lots of questions about our experience cruising on Carnival Horizon with kids so I wanted to share this post with all of the details. 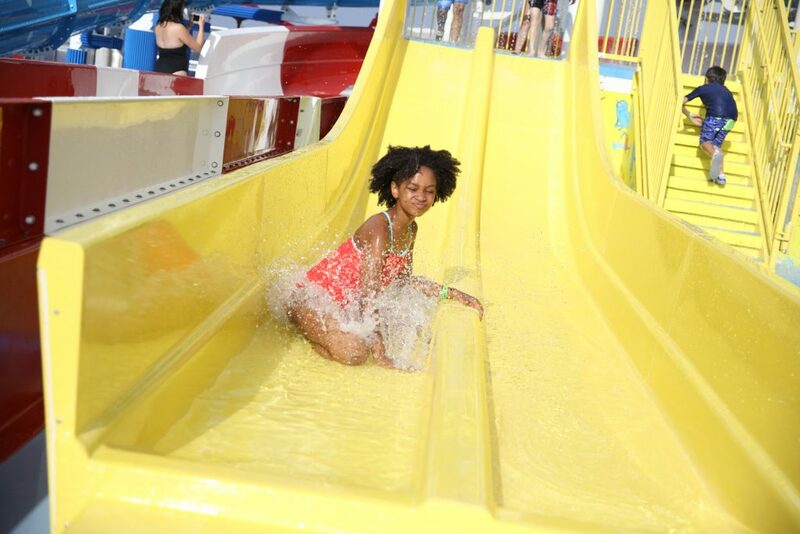 What activities did your family participate in onboard? We did the virtual tour of the ship about a week before we left and when the kids saw the Dr. Seuss WaterWorks that’s all they could talk about. This waterpark did not disappoint. 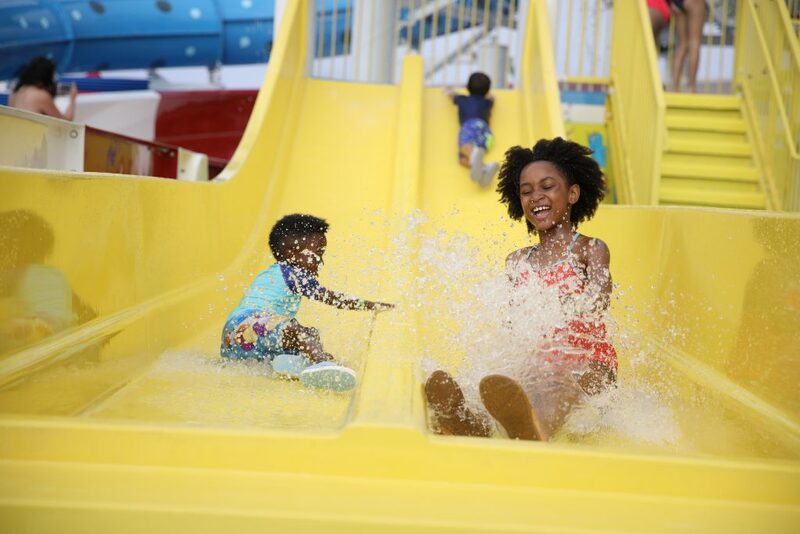 Whenever the kids came down the water slides they had the biggest smile on their faces. This waterpark was as fun as it looked and the kids played there every day. It was the first thing they asked to do when they woke up. Since the baby is in diapers, she couldn’t get in on the fun so my husband played with the big kids while I hung out with her. I did go down the Cat in the Hat slide one day. Don’t judge me but I’m not big on heights especially on a ship so I went up to the top and changed my mind about the slide on two occasions before actually going down the slide. One time, a family was actually cheering “Do it! Do it!” and I still wasn’t brave enough to go down. I’m happy I did go down the third time though, it was fun and I wasn’t as scared as I imagined I would be. 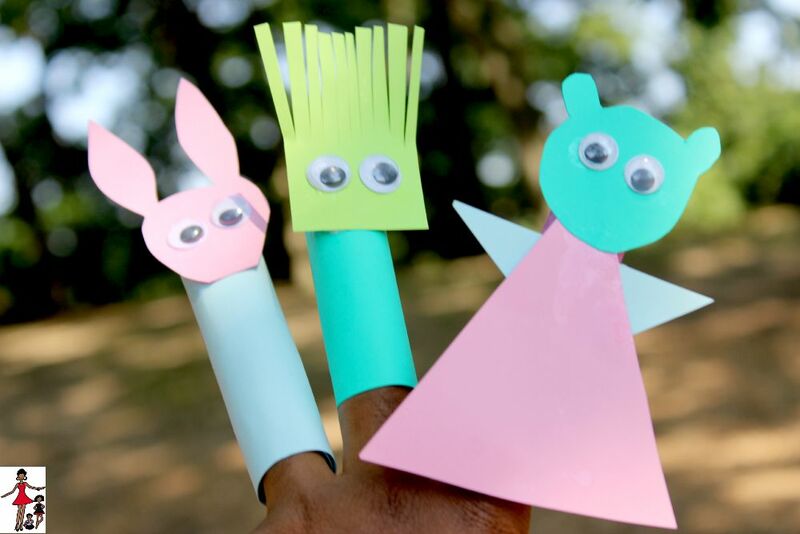 This is Carnival’s camp for kids and I wasn’t sure if my kids would be fans. I took them while their baby sister napped for about 30 minutes on the second day and they were hooked. The camp is separated by age groups so my kids were in two different groups which I was initially worried about but they had a blast nonetheless. They’re still in the same space and were able to see each other but they did age appropriate activities which were great. They made jewelry, played video games, read, did artwork, performances etc. Most times when we picked them up from Camp Ocean they did not want to leave. The staff there was incredible, they were very thoughtful and they got to know the kids by name really quickly. Kids must be 2-11 to go to Camp Ocean and it’s included in the cost of the cruise. Camp Ocean came in really handy for our family during the cruise. Since my husband and I weren’t traveling with other adult family members taking the kids to Ocean Camp gave us some time to enjoy each other (albeit with the baby). Camp Ocean ended at 10 pm so we took the kids after they had their dinner a few nights. 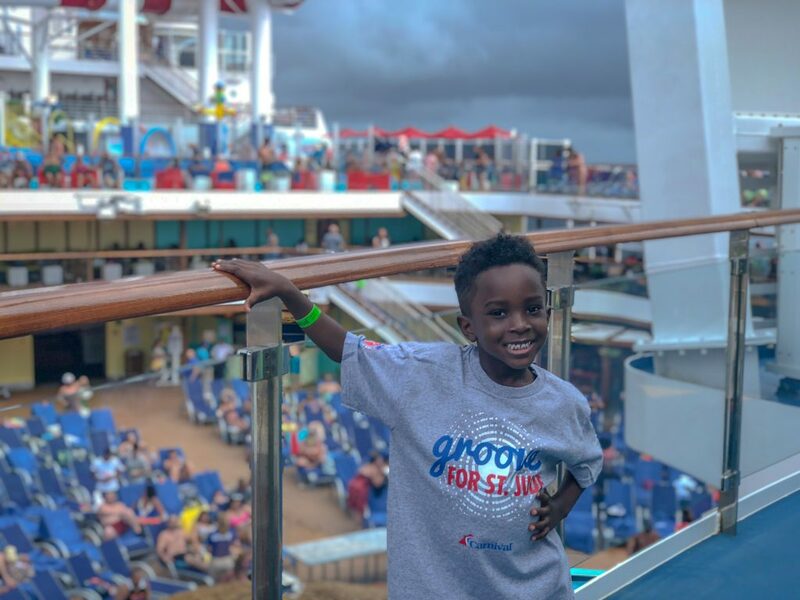 As a St. Jude Children’s Hospital Ambassador, Groove for St. Jude was one of my favorite onboard activities and I loved watching my little ones see that they could have fun all while giving back. It’s also not just on the Horizon but on all Carnival Cruise ships. There is nothing quite as magical as watching movies under the stars in the middle of the ocean. My kids loved the Dive In movies and with Black Panther as one of the showings, it was a memorable experience. Carnival made it a comfy experience with blankets and popcorn and some guests even watched from the pool. One of the coolest offerings on Carnival Horizon was the Skyride. My son and I cheered on as my daughter and husband raced each other on the Skyride. It’s like a combination of a zip line and a bike, very cool. I think this was one of the kids fondest memory of the trip! The attention to details and them having the opportunity to see so many of their favorite Dr. Seuss characters was fantastic. 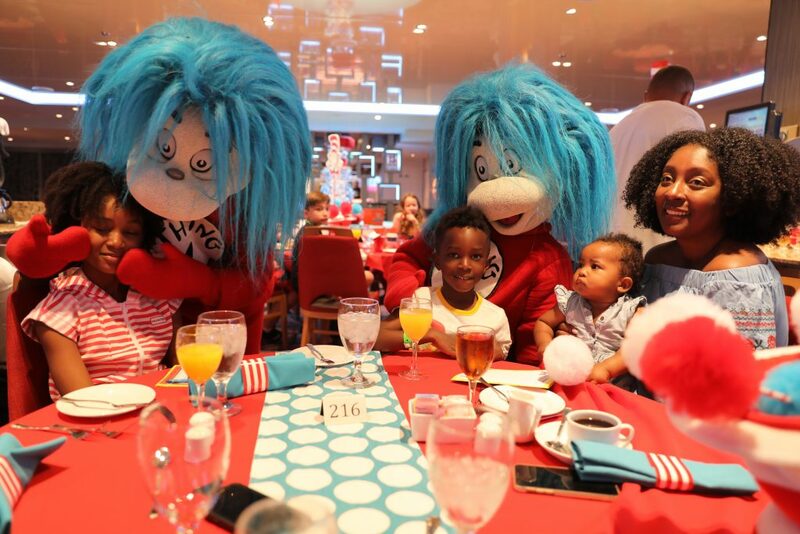 There is so much to share about the Dr. Seuss Breakfast that it deserves its own blog post so stay tuned for that. 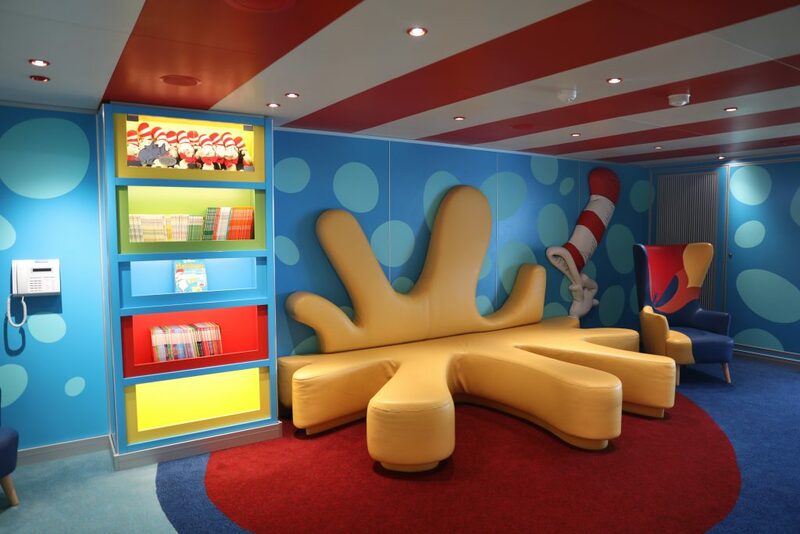 One of our family’s happy places on the Carnival Horizon was Dr. Seuss Bookville. This is a library/playspace where we were able to read books and play games. As most of you know, reading is really important to our family so this was a much-appreciated space. There are lots of books and games available and the space is fun, modern and beautiful. Even the baby loved crawling around Dr. Seuss Bookville and climbing on me to read books. While most of my friends who’ve done cruises have chosen to sail from South Florida, I thought it would be best for my family to embark in New York City. Since we were going from a local port, it was easier for us to pack everything we needed (especially for the baby) without having to worry about TSA rules or the logistics of traveling. Our experience was really good and went smoothly, we had priority check-in and I printed our boarding passes at home. We arrived at our assigned arrival time 3:00 pm and we were onboard within minutes. With a baby in tow, I was really happy we had such a stress free experience. We also had priority disembarkment and that was also a smooth experience. We had two staterooms on the Carnival Horizon. Our rooms were next to each other and one of them was a balcony room. One room had a king size bed with a sofabed while the other had two twin beds. This worked well for our family as we were able to spread out. Having a balcony was a good respite, it gave us time to enjoy the ocean views privately especially at night. It seems like there is a lot onboard how did you keep up? The Carnival Hub app was my husband and I key to everything going on onboard. We were able to check to time of restaurants, make reservations, use the internet, see what activities were going on, look at photos etc. I can’t imagine what our cruise would be like without it since it’s a big ship. We downloaded it since we home and connected as soon as we got onboard. How was the baby on the cruise? 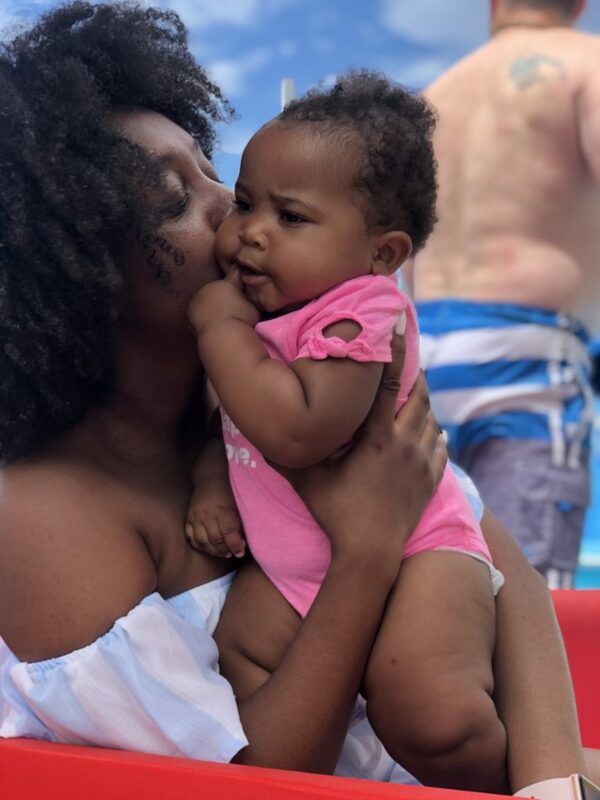 The baby seemed really happy on the cruise and we never had any issues with her. Since she was only 8 months old when we sailed and I’m still nursing her, brought her snacks, we didn’t have to worry about feeding her much. The restaurant chefs were nice enough to get her avocado when we asked, which she loves. Overall, it was a good experience sailing with a baby and would totally do it again. Did anyone in your family ever feel seasick? Surprisingly no, we did feel the boat rocking at times but that was usually during docking. None of the big kids ever complained of feeling ill or nauseous and the baby never got ill. 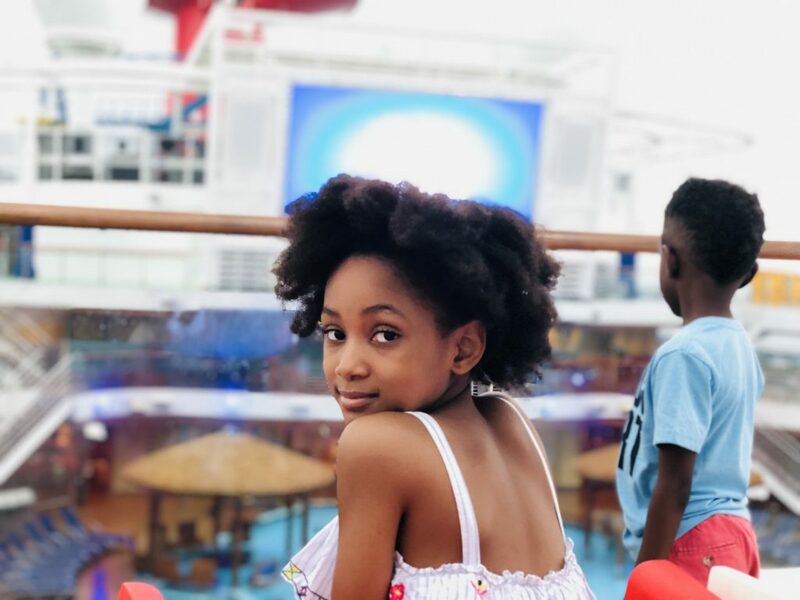 I hope this post covers everything you need to know about cruising on Carnival Horizon with kids. We had such a wonderful experience that I plan to share a few more posts. Our family made memories that would stay with us forever and I hope your family can do the same.